When you register a new domain name, often one of the first things you want to do is to connect it to your web hosting service. Usually your web host will provide name servers. Until you change the name servers on your domain name, your domain will be parked and you will be able to use any of the parking features which come with every domain name. 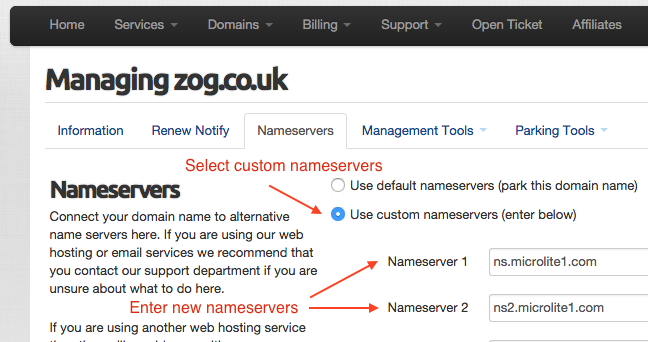 Changing your domain nameservers is easy. You can change them as often as you need. Any nameserver changes can take up to 24 hours to fully propagate across the global internet so do not expect instant results in your web browser.